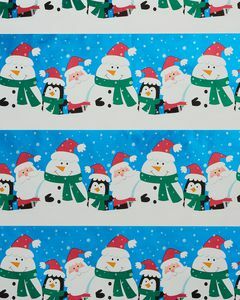 Santa and Friends Foil Christmas Wrapping Paper, 25 Sq. Ft.
Make the season bright! 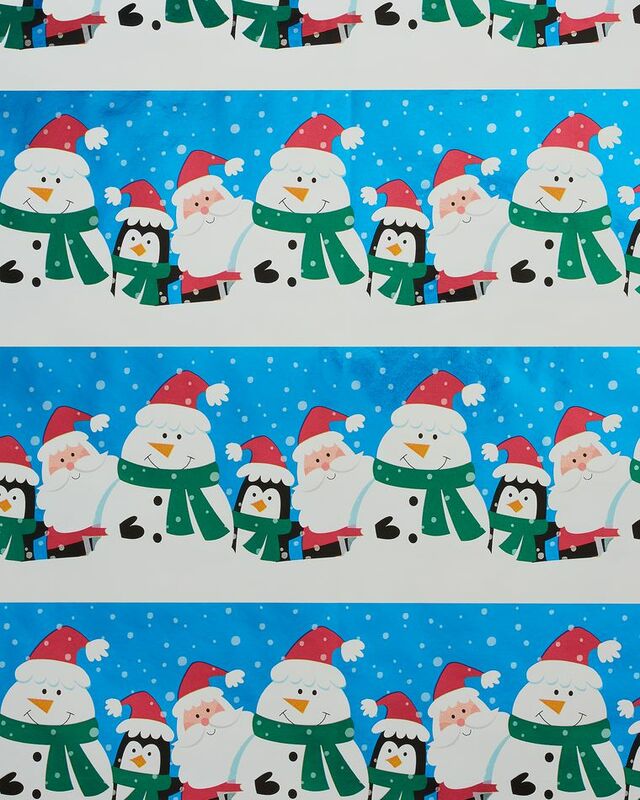 This high-quality foil gift wrapping paper roll features a colorful, shimmering pattern with cute holiday characters like Santa, a snowman and a penguin. Decorate the shiny wrapping paper with ribbons, bows and other accessories (sold separately) for a festive finishing touch. 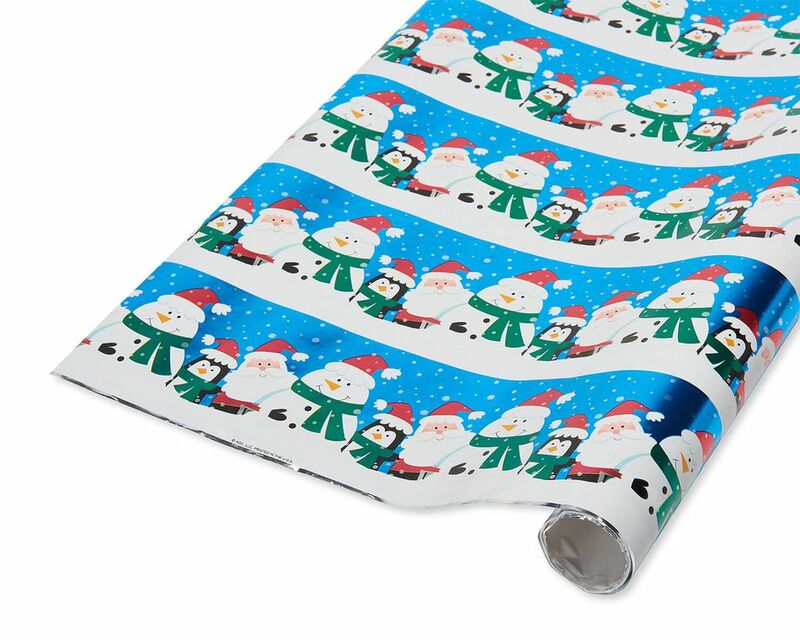 Christmas gift wrapping paper is perfect for creating an extra-special gift presentation! 1 roll of wrapping paper, measures 2.5 ft. x 10 ft, 25 total sq. 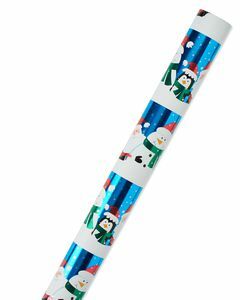 ft.
Foil Christmas wrapping paper roll features festive rows of holiday characters in a bright, shiny and colorful design that’s perfect for kids! 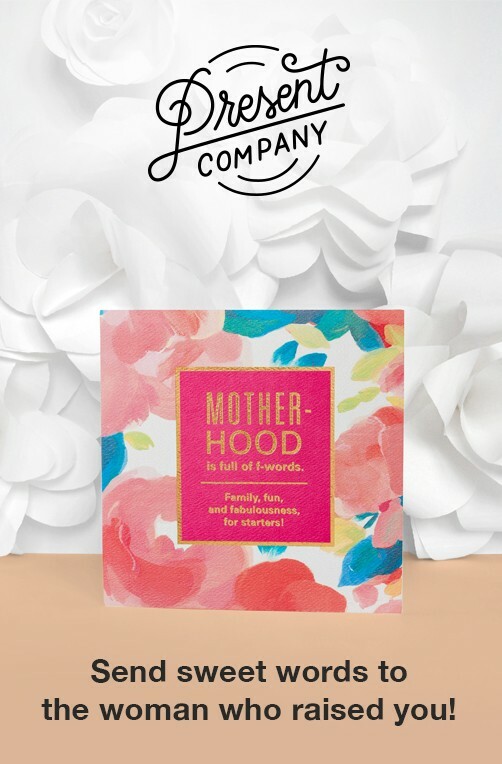 Perfect American Greetings wrapping paper for the holiday season!